Mustafa al-FiqiWhen Amr Moussa announced that he would be stepping down as Secretary-General of the Arab League to run for the Egyptian presidency, several names surfaced as to who might replace him. 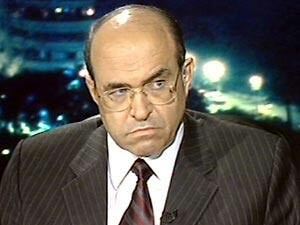 Shockingly, Egypt was considering unsavoury Mubarak regime characters such as Moufid Shehab (a top NDP official and sometimes foreign affairs troubleshooter) to replace him. That was shelved, but only to have Mustafa al-Fiqi become the official Egyptian candidate. This should be an outrage. Al-Fiqi is a former presidential aide who has for two decades played the role of foreign policy expert in parliament. He has been a go-to person for foreign delegations and held various positions related to this function, including on the National Council for Human Rights (even though he was a staunch supporter of the Emergency Law). He profusely praised Mubarak in the president's last days in February, and has now neatly realigned himself with the revolution. That night, Hishmat supporters and Brothers gathered outside the ballot counting station, while Hishmat’s representatives inside watched the simultaneous, individual counts. With 28 ballot boxes remaining, I was told by phone after midnight, Hishmat was ahead, 25,000 to 7,000. The following morning, however, the news spread that al-Fiqqi had defeated Hishmat. Residents of Damanhour showed up at Hishmat’s apartment to argue that the result should not be left to stand. Hishmat proscribed violent responses, and assured his supporters that the Muslim Brothers would live to compete another day. Days later, Nuha al-Zayni, a Justice Ministry election monitor (and not a judge) wrote a front-page article in the independent daily al-Masri al-Yawm that supported the Brothers’ claim that the Damanhour result was fictional. Al-Zayni’s testimony was supported by 137 of her peers, but those who call the shots in certifying elections failed to react. Instead, the Higher Elections Commission issued a directive saying that judges who talked to the media about the elections were violating the law. Hishmat appealed to the Commission, but he was rejected. Hishmat argued that Damanhour remained without the parliamentary representation it had lost in 2003 when the NDP-dominated parliament stripped him of his seat and called a special rerun of the Damanhour race. In a Cairo press conference, he challenged al-Fiqqi to “go walk the streets and meet your constituents. Can you look them in the eye?” Al-Fiqqi replied that he would not dignify the allegations of ill-gotten electoral gains with a response. In his campaign speeches, al-Fiqqi assured the people of Damanhour that he would resign should his victory in the election be tainted by fraud. As the “president’s candidate,” he explained, he could not compromise the reputation of the highest office in the land. Nonetheless, on December 17, 2005, al-Fiqqi walked into the rotunda that houses the Egyptian People’s Assembly and took his seat as Damanhour’s representative. This incident was one of the key factors that led to the "Judges' Intifada" of 2006, when independent judges protesting that the government ignored their reports of electoral fraud took on the regime, which subsequently led to a crackdown and the removal of judicial supervision from the constitution in 2007. It's widely assumed that the results were basically switched between Heshmat and al-Fiqi. I know the Arab League is not exactly a fantastic institution, but it is the only official coordinating body the Arab states have and represents the region on many UN committees and other international bodies. It might not be genuinely representative, but it does speak for millions of Arabs on a host of technical international issues, as well as issues of war and peace. It is also a body that, hopefully, will some day have a role to play in achieving greater regional cooperation on economic and cultural integration, which is key for this region. It deserves a better caliber of candidate, and Egypt has better people to represent it. This is not the sign of a new Egypt, and it would be better to have a candidate from another country, such as Qatar's candidate, who while perhaps no democrat at least has the experience of having run the GCC.